Brilliantly innovative, the True Fabrications ice tube decanter lets you chill your wine while allowing it to breathe. Fabricated from lead-free crystal, this beautiful decanter will look great on any table or counter top. Featuring a removable interior column for ice, you can cool your wine without having to worry about diluting it. 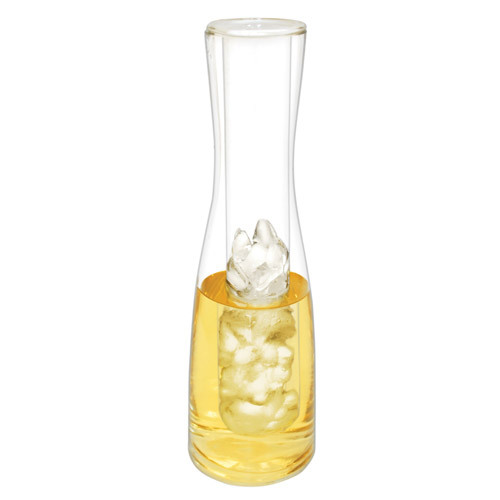 This decanter also works great for other drinks, such as lemonade, juice, and iced tea. Packaged in a gift box, it makes a great gift for family, friends, coworkers, and any other wine lovers in you life.